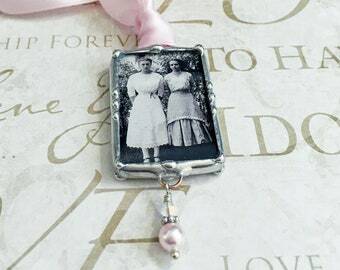 To be customized with your colors and details. These are two sided. I can put photos in them, wording, monograms....The choice is yours. Let me know what you want. This listing is for 1 charm that measures 1"x1" square. 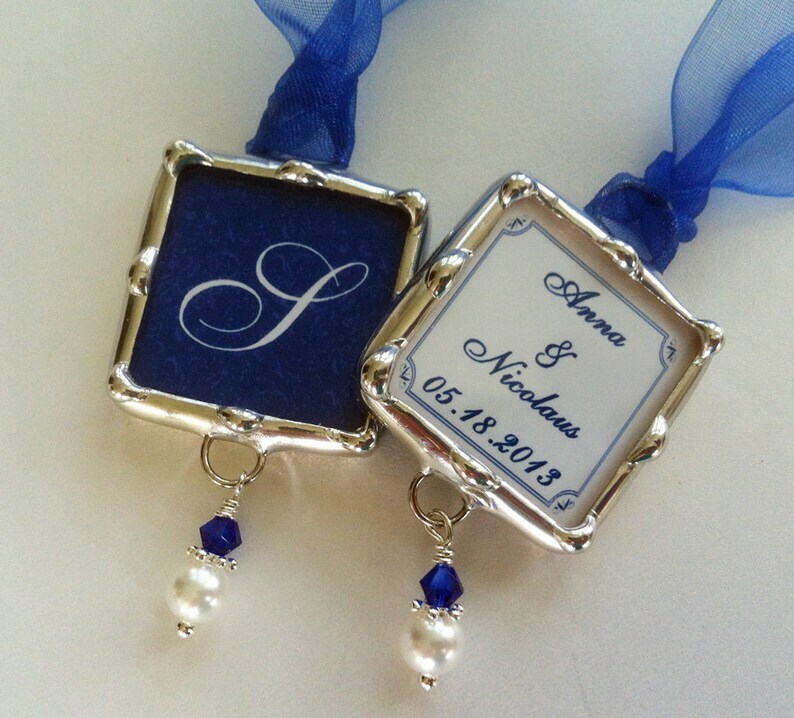 It includes a ribbon to tie on the bouquet as well as a bead dangle at the bottom. Once you place your order, I will contact you with instructions for the details I will need and where to email them to me. these were awesome! My family loved them.. I had both set of grandparents and my 2 uncles that I was very close with wrapped around my bouquet! Not only did I feel they were with me my whole family loved it. These were all solid and they worked with me to have the pictures look awesome! (Since they were old pics) definitely would recommend using these people as they take their time to ensure things are perfect!